All the MCU fans, pay attention. It may seem to be unreal to you but it certainly will or may happen this month itself. Yes, as you have read the title of the article above, you’re right in your mind to think about it. Avengers 4 trailer is likely to arrive this year, and rather this month itself! Strong predictions and logical calculations are directly pointing to this only. And please save the date for yourself. It’s November 28th, 2018. I repeat it’s November 28th, 2018. Now, why this much of certainty? Because there’s a valid answer for that. If you noticed last year’s pattern of Avengers: Infinity War’s trailer release and what happened after it, you will reach the conclusion easily. Last year, when Disney and Marvel Studios released the official trailer for Infinity War on November 29th, 2017, a prelude comic for the film was also released this year, earlier, on January 24th, 2018. And as per the MCU’s timeline and history, none of the prelude comics (which act as a cannon to connect the events between their multiple films) get released without a title of the movie for which they get released. You’re getting there? Don’t worry, you will. So the above-mentioned information implies that if any of the MCU related Marvel’s prelude comic comes out, it will be having the title of the movie too! 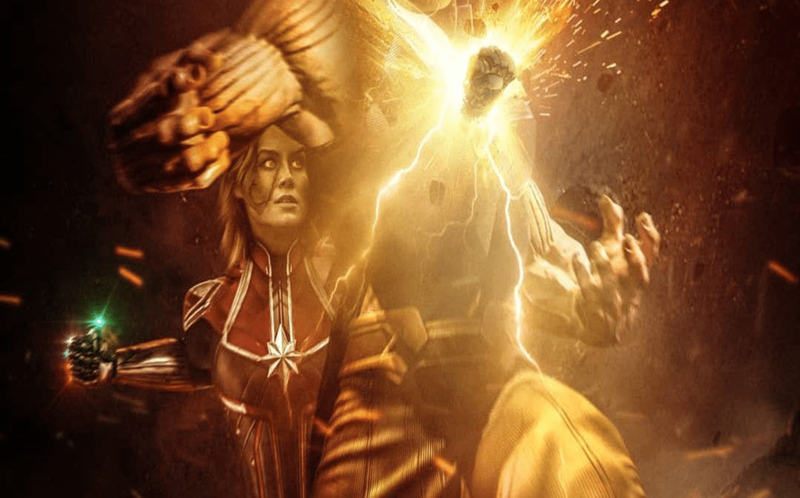 And for believing this you can take the example of the Captain Marvel prelude comic itself, which was just released earlier this month on November 6th, 2018. And before the comic, the trailer for the film had already been released, way back in September. Now, another strong reason for believing the proposed date for Avengers 4 trailer’s release is the fact that the comic for Captain Marvel itself mentioned that the prelude comic for Avengers 4 will be out on December 5th, 2018! So, that straightly means that the trailer will come first before the prelude comic because the comic won’t be without a title for the movie. And going by the last year’s pattern of Marvel Studios, they will eventually let the trailer out in November end—no matter what—for the prelude comic to follow it up exactly a week after. And that brings us the date, a week before, which is obviously November 28th. Mark it up on your hands, in your phone’s calendar, or in a diary. This is not yet another fake rumor about the movie. So, you can be serious this time; ‘no tricks’, just as Thanos said. We will get to see it this year only, not in 2019 guys. Avengers 4 trailer is coming, this month end–hopefully. Be prepared. If you have any kind of anxiety, you can drop it in the comments section below.